During the Israel Bond delegation, we also met with Israel’s Minister of Finance, Yair Lapid, and Israel’s Deputy Minister of Finance, Mickey Levy. The Finance Minister congratulated us on our raising $250 million in bond sales since the outbreak of the military campaign, Operation Protective Edge. The Minister told us of the strategic importance of the Israel Bonds organization both to the State of Israel itself as well as to the citizens of Israel through the ongoing investment in the country. The Finance Minister described the unique relationship of Israel’s citizens and the Jewish diaspora and suggested that any of us could be in the other one’s shoes as all of us find ourselves in a “revolving” door” and that we are interdependent on each other as a result. 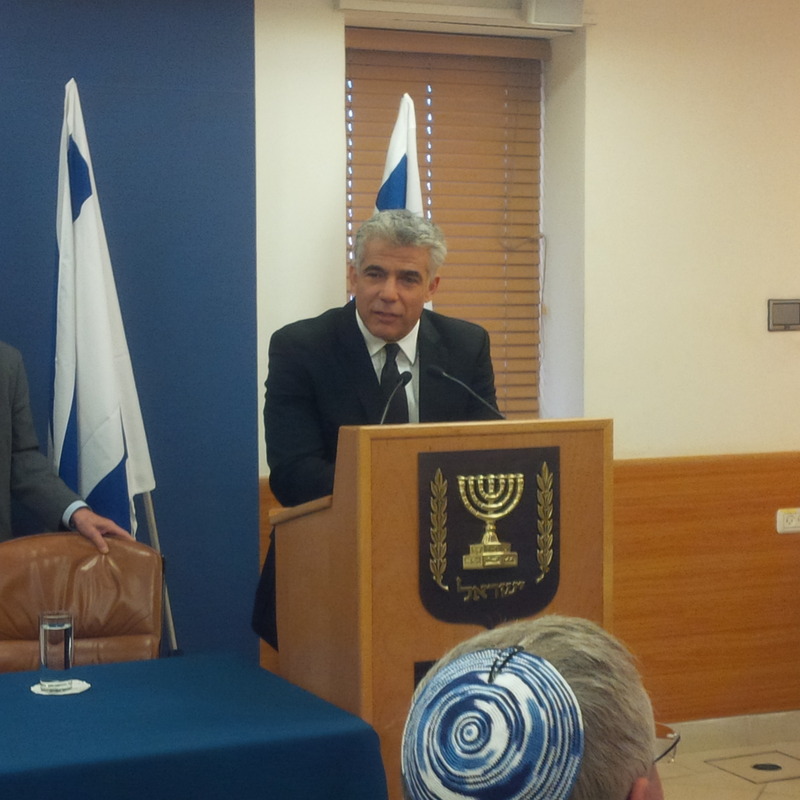 Israel’s Minister of Finance, Yair Lapid, addressing the Israel Bond delegation. 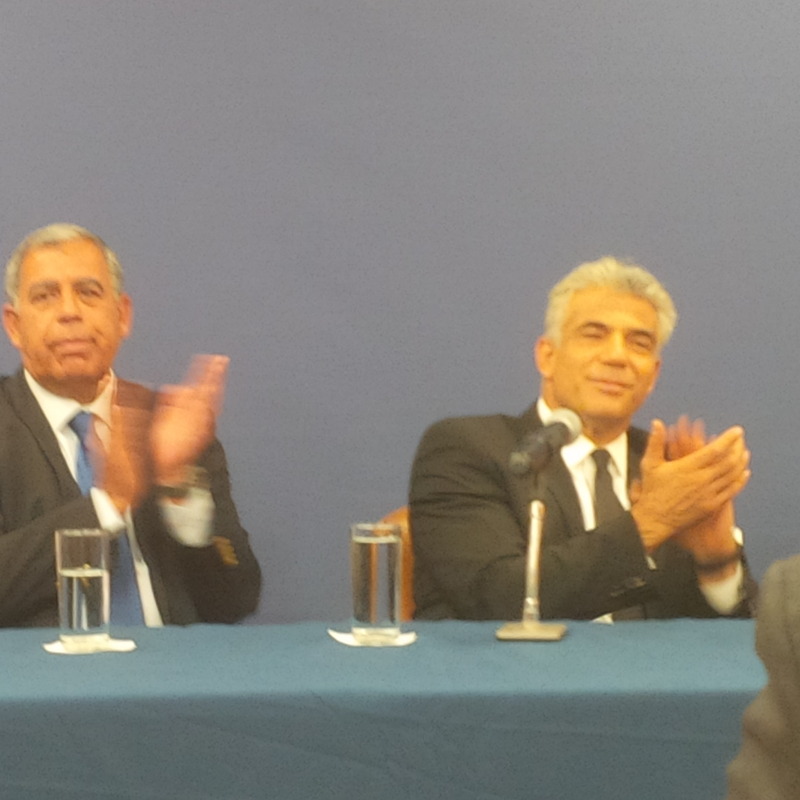 Israel Minister of Finance, Yair Lapid, on right, and Deputy Minister of Finance, Mickey Levy, applauding the work of Israel Bonds and the members of the delegation. Other insightful briefings in which I participated with The Israel Bond delegation was with Israel’s Minister of Defense, Moshe Ya’alon, who spoke passionately about the tremendous sacrifices that were made by Israeli soldiers during the Operation Protective Edge. 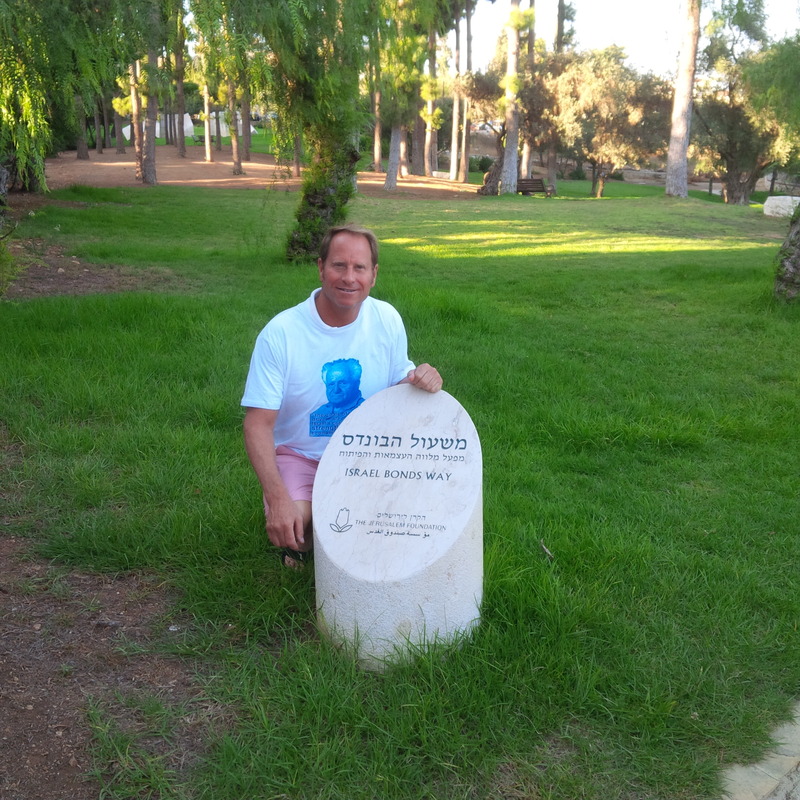 He informed us that this military campaign was Israel’s largest since the 1982 Lebanon War and he discussed the tremendous strain that was imposed on all of Israel’s citizens. 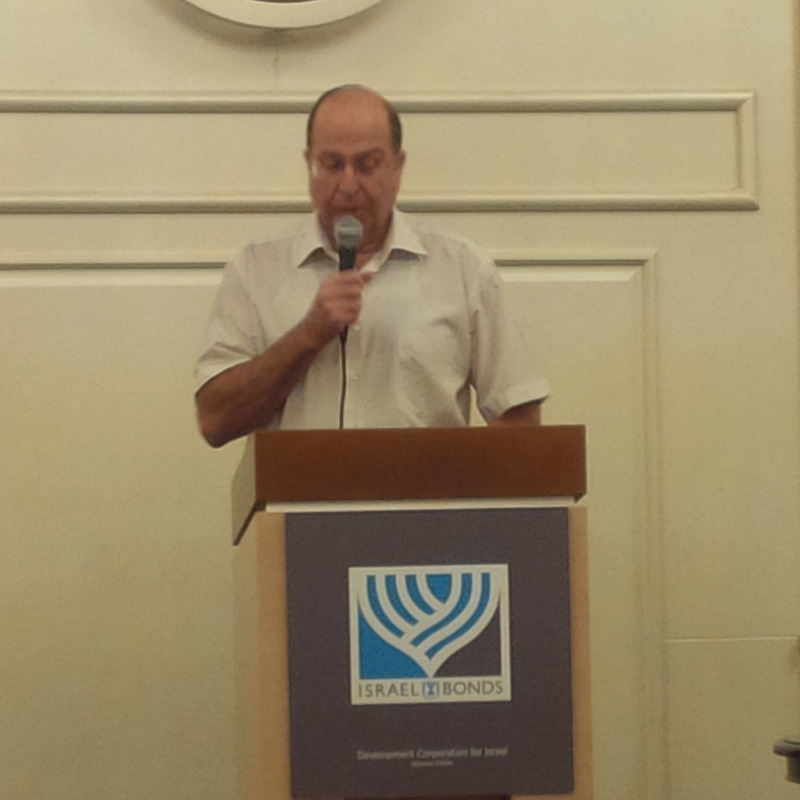 He, too, thanked the Israel Bond organization for its continued support and efforts during this most challenging time. 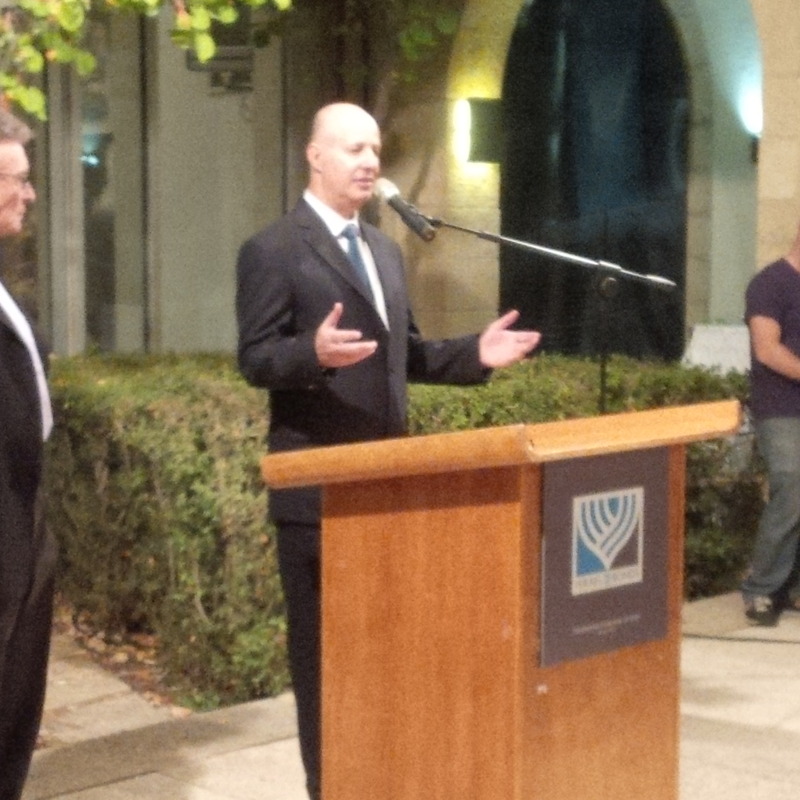 We also were briefed by Deputy Minister of Foreign Affairs, Tzachi Hanegbi, who spoke to our delegation at a beautiful outdoor dinner at the Hebrew Union College next door to the King David Hotel in Jerusalem. The Deputy Minister of Foreign Affairs briefed us on the current situation with Hezbollah in Lebanon as well as the current state of affairs with Hamas in Gaza. He also spoke of the heroic efforts on the part of the Israel Defense Forces (IDF) in the latest military campaign in Gaza, and thanked the United States for all of our support, emotionally, financially, and physically through the supplying of Iron Dome anti-missile defense system. 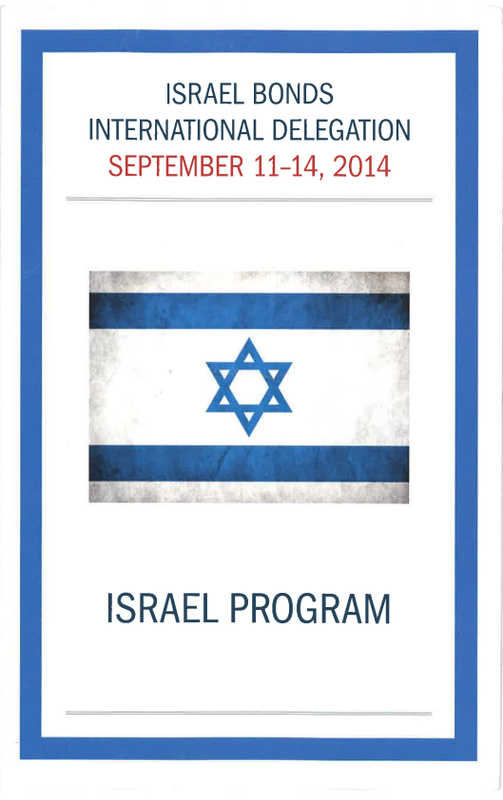 Recently, I participated on a delegation to Israel through Israel Bonds, on whose National Board of Directors I serve. We spent four days there and held several meetings with many key dignitaries including a briefing with Prime Minister Benjamin Natanyahu. The Prime Minister gave us many keen insights into the current events of the Middle East and Ukraine. He also thanked the Israel Bond organization for all the work and efforts that we undertake and pointed out the deep gratitude that Israel has to the Jewish Diaspora, “our family”, for our continued support and investment and faith in Israel and its citizens. 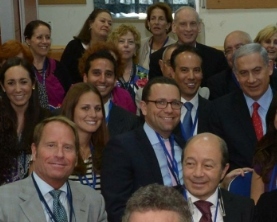 Kent Swig with Prime Minister Benjamin Netanyahu (on right with red tie). 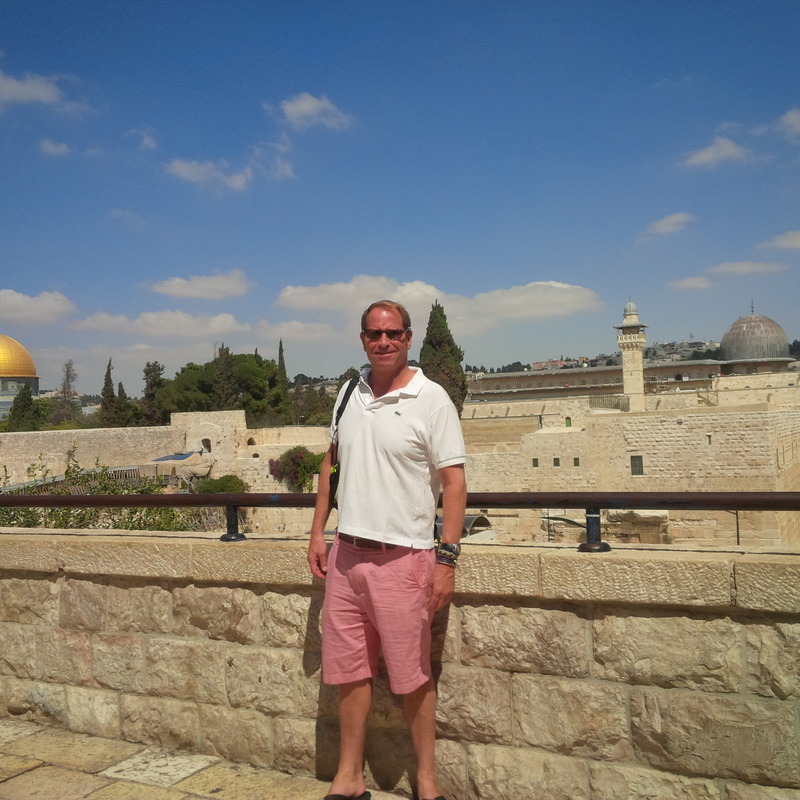 Kent Swig overlooking the Western Wall in the Old City of Jerusalem.